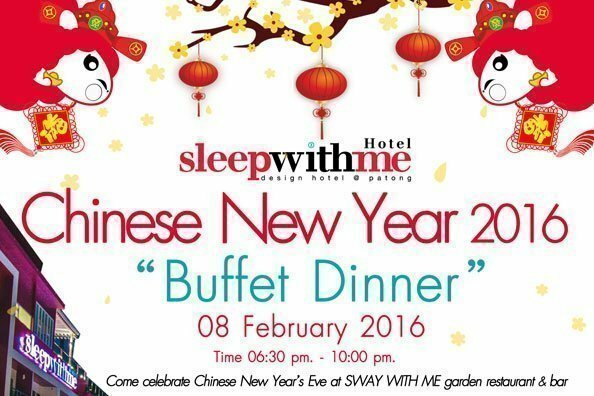 All Posts in "Sleep With Me Hotel"
Join us For a Special Night with Chinese Buffet & Seafood BBQ Buffet. Come Celebrate Chinese New Year with us , at SWAY WITH ME garden restaurant & bar. Join us For a Special Night with International Buffet & Seafood BBQ Buffet. SLEEP WITH ME HOTEL design hotel @ patong in partnership with Vachira Phuket Hospital will organize a blood donation on the 07 th of November 2017 (Tuesday ), at Meeting Room 1 of SLEEP WITH ME HOTEL design hotel @ patong from 10.00 am – 15.00 pm. In view of this, we would like to invite all of you to donate blood to increase blood bank reserves for patients in hospitals and victims in various regions nationwide. 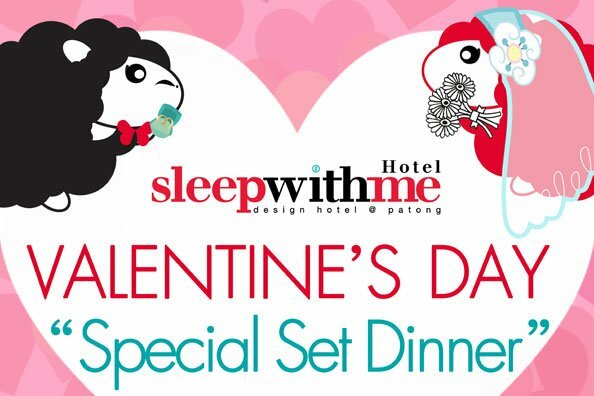 Valentine’s Day Special Set Dinner 14 February 2016 Time 6.30 p.m. – 10.00 p.m.
Chinese New Year 2016 “Buffet Dinner” 08 February 2016 Time 6.30 p.m. – 10.00 p.m.